(CNN) – The co-pilot of Germanwings Flight 9525 purposely crashed the plane into the French Alps on Tuesday, killing all 150 people on board, officials said Thursday. “We at Lufthansa are speechless that this aircraft has been deliberately crashed by the co-pilot,” said Carsten Spohr, CEO of Lufthansa, which owns Germanwings. 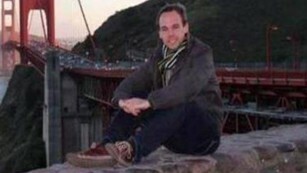 It’s unknown whether Lubitz planned his actions in advance, Robin said. But he “took advantage” of a moment in which the pilot left the cockpit and “activated the descent,” which can only be done deliberately. It’s also unclear whether the pilot entered a code to try to get back into the cockpit, or whether Lubitz “put the lever on lock,” which would have prevented the code from working, Spohr said. What is known is that screaming could be heard on an audio recording for the final few minutes of the flight. Death was instantaneous for those on board when the plane plunged into the mountains, Robin said. The French government has asked the FBI to help investigate the crash, a law enforcement official said Thursday. A search is underway for the plane’s second “black box,” the flight data recorder, which could shed more light on the plane’s final minutes.